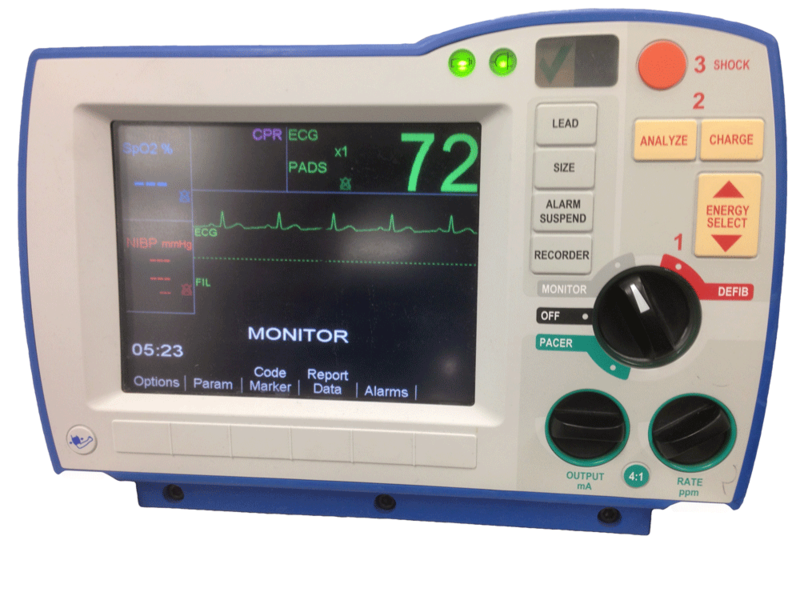 "Charging Defibrillator - Stand Clear"
"I will shock on Three - One I'm Clear"
Definition (UMD) Cardiac electrical stimulators that apply brief high-voltage electroshocks to the heart. These stimulators are used to restore normal rhythm and contractile function in patients who are experiencing ventricular fibrillation or ventricular tachycardia that is not accompanied by a palpable pulse. Some defibrillators may also be used to correct certain noncritical dysrhythmias (called synchronized defibrillation or cardioversion), using relatively low-level discharges synchronized to the patient's ECG waveform.